The day begins like any other: hot, buttered toast and cup of brew, the glow of the paper on the tablet, the quiet hum of the autonomous electric car waiting in the driveway – all made possible by the power of the rising sun. The year is 2030, and the place could be Australia. Around the world, the debate over coal as an energy source has dwindled to the point of extinction – a true fossil fuel. Everywhere, that is, except Australia. Globally, renewable energy sources are now seen as inevitable, particularly in the US. 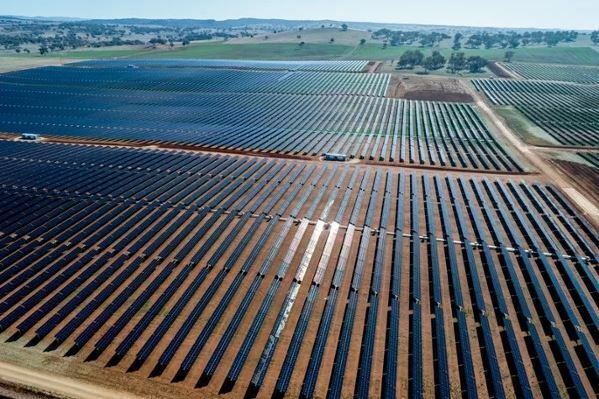 ‘‘Renewables account for more than 18 per cent of total US electricity generation and in California, solar often represents more than 50 per cent of total generation in the middle of the day,’’ Martin says. Solar power is especially hot at the moment, thanks to the dramatic decline in panel prices over the past decade. It is the cheapest source of energy in Australia during daylight hours and this low cost has driven a rush to invest. The capacity provided by large-scale solar power plants is set to quadruple in the coming year. Tech giants like Google and Apple helped that boom along by encouraging investors to build renewable energy power plants on the promise they’d buy the resultant power. Suddenly, renewable energy had become an investment opportunity. ‘‘Investors want to be green, but they also want a return on investment, and in the past it’s been hard to do both – going green was not seen as a money-making proposition. ‘‘The Californian situation changed that.’’ For Australia, however, the silver bullet may still be a few chambers away. ‘‘We’re conflicted here because so many people have an economic interest in fossil fuels, but the situation worldwide means that the shift to renewables is happening with or without us,’’ Martin says. This positive outlook seems to be shared by many in the federal government. Its National Energy Guarantee, which replaces the Renewable Energy Target when it expires in 2020, requires energy retailers to provide sufficient, reliable power, and to reduce emissions by 2030. Renewable energy and fossil fuels don’t appear to be natural bedfellows, but Martin says talk of a coal apocalypse is all hot air. ‘‘You can’t have just solar and wind generation, we need a hybrid system of renewables, gas, batteries and some coal. Despite this, it seems like an unhappy alliance, with renewable energy blamed for sealing the fate of AGL’s Liddell Power Station in NSW. According to Martin, however, it’s nothing personal – just business. ‘‘Yes, coal-fired power stations are already closing, but that’s a financial decision. Initially, the adoption of renewable energy was driven by environmental concerns and subsidies, but now it’s about what makes economic sense,’’ he says. The other big winner of a swing away from fossil fuels is electric vehicles (EVs), which are projected to become considerably cheaper than cars with internal combustion engines (ICEs). The roads of the NEG’s 2030 could be filled with autonomous cars, trucks and electric trains, powered by the sun and good for the environment. According to BloombergNEF’s 2018 energy outlook, 40 per cent of Australia’s light-duty vehicle fleet will be electric by 2040. Martin says that the perception of renewable energy has shifted from a ‘‘greenie pipe dream’’ into a tangible future. ‘‘While a few in government may resist, the vast majority of Australians accept that renewable energy is viable and inevitable,’’ he says. ‘‘About a quarter of Australian households have solar panels. The situation worldwide means that the shift to renewables is happening with or without us.